We love having fun with creative photography. 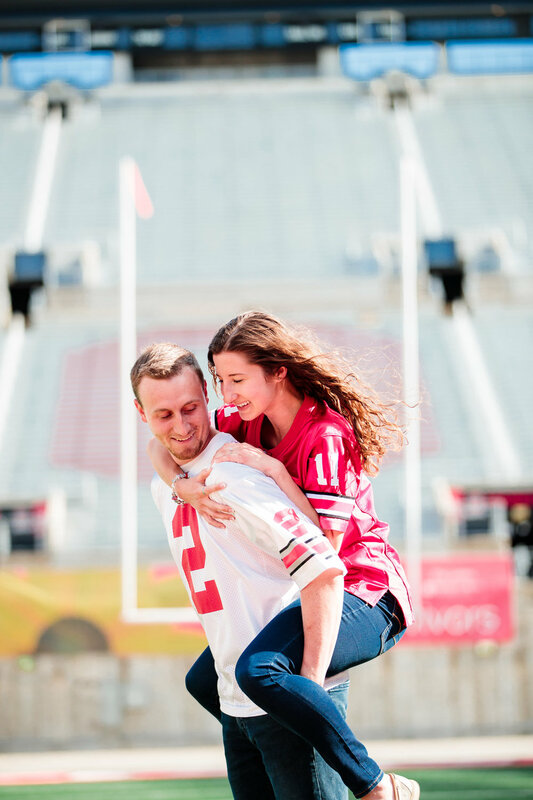 When we get to rent out the OSU Stadium for an engagement session, the possibilities are endless! 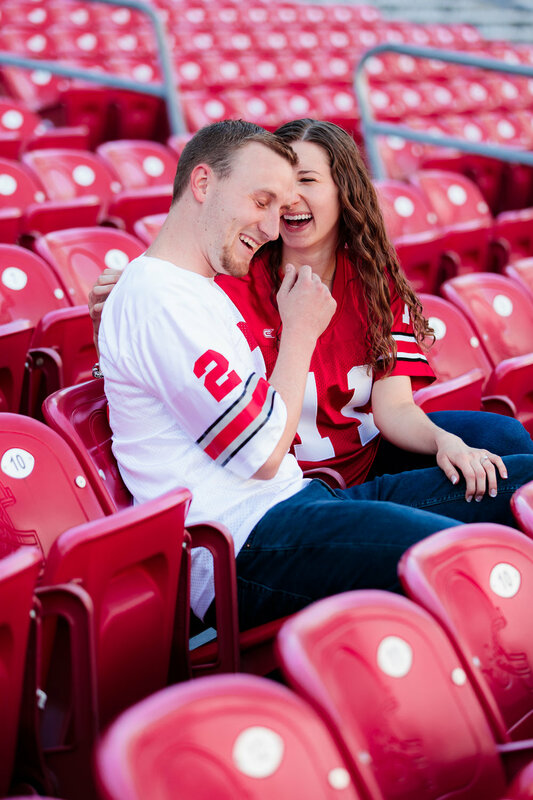 This was the first half of Morgan and Michael's engagement photos. 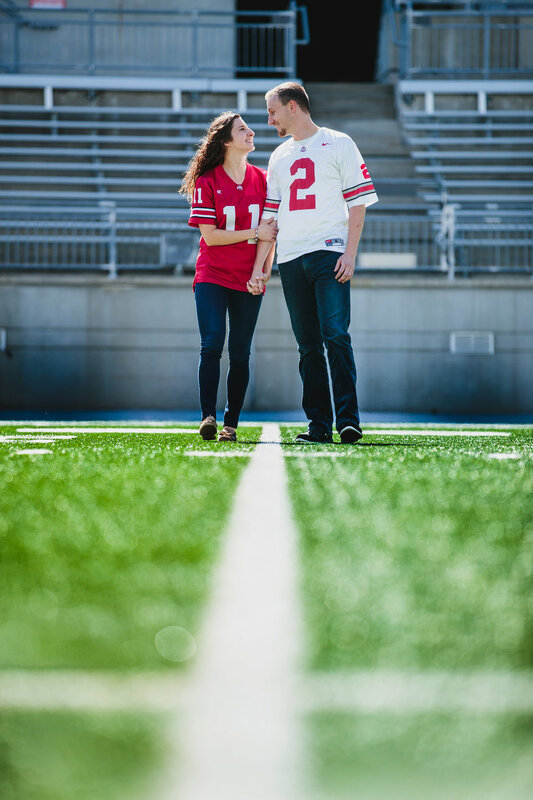 "Our story began at The Ohio State University in 2010. Mike and I were both randomly assigned to live on the same floor in Lincoln Tower. We had different class schedules since he was in engineering and I was in pharmacy, so we only saw each other occasionally throughout the week. 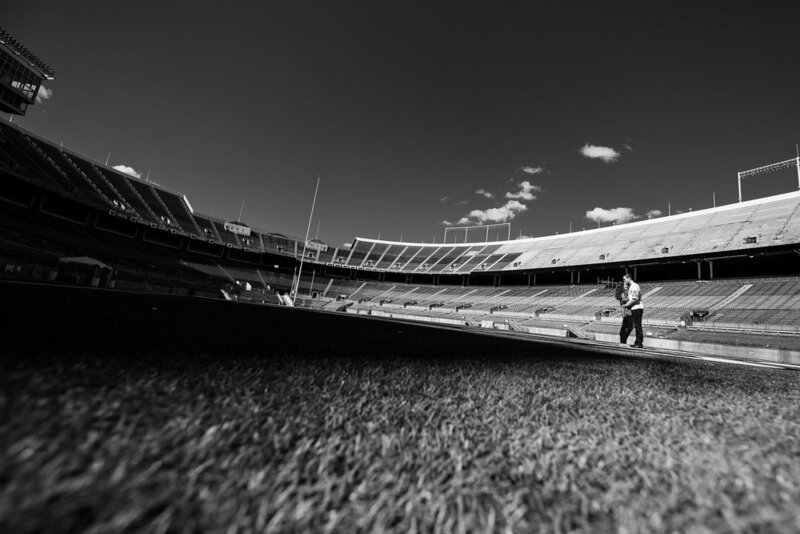 There was, however, one day I could always count on seeing him: game day. Mike and I are both huge Ohio State football fans so we always saw each other leaving the dorm to go cheer on the Buckeyes separately. We lost touch for a year but reconnected again though a mutual friend in 2012. 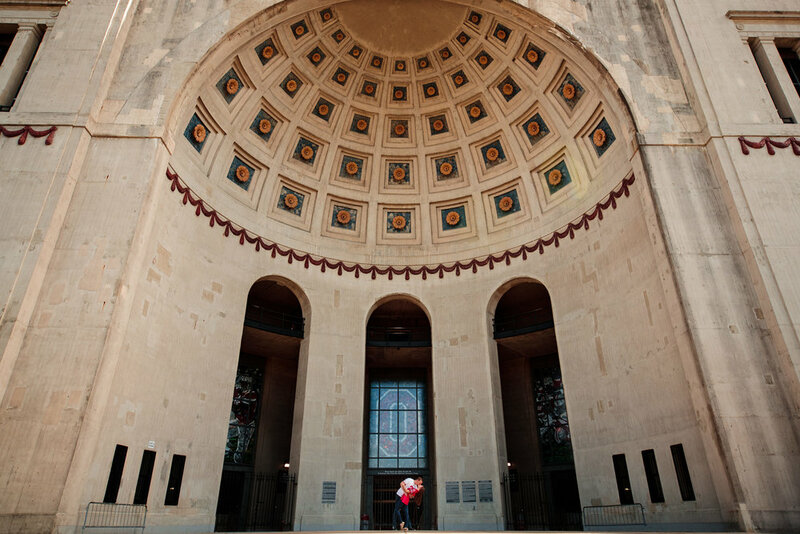 We began dating and loved to frequent our favorite spots around campus such as Mirror Lake and Thompson Library. I still got to see him every game day, but my favorite part was that this time we sat by each other and cheered on our favorite team together. 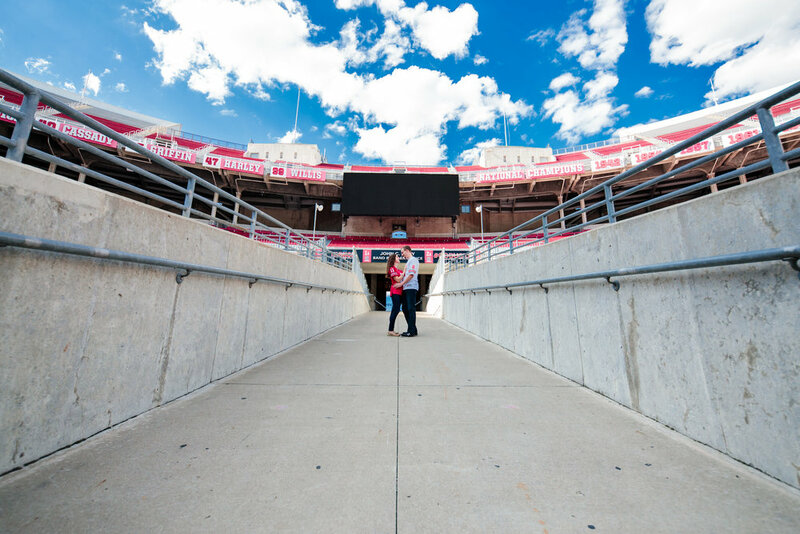 Ohio State truly holds a special place in our hearts so when we were looking for places to take engagement pictures, it was a no brainer. 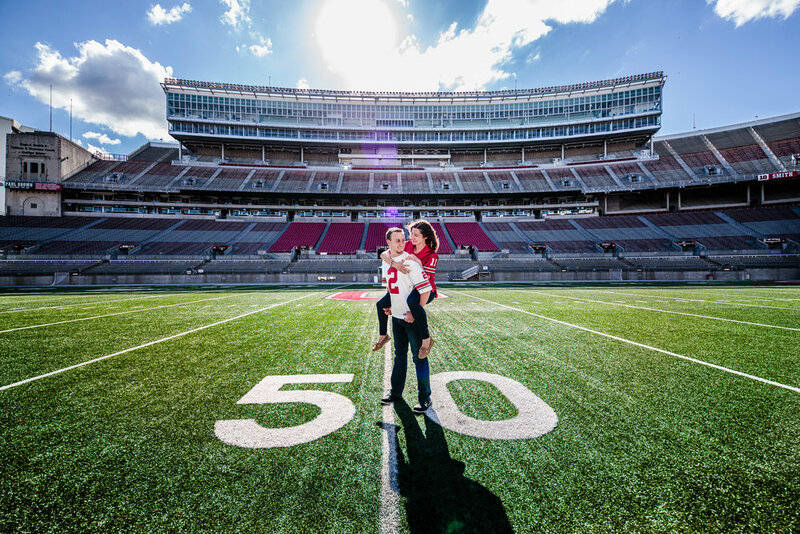 We can't thank Robb McCormick enough for such a great experience at the Shoe and for such amazing pictures! Go Bucks!!" 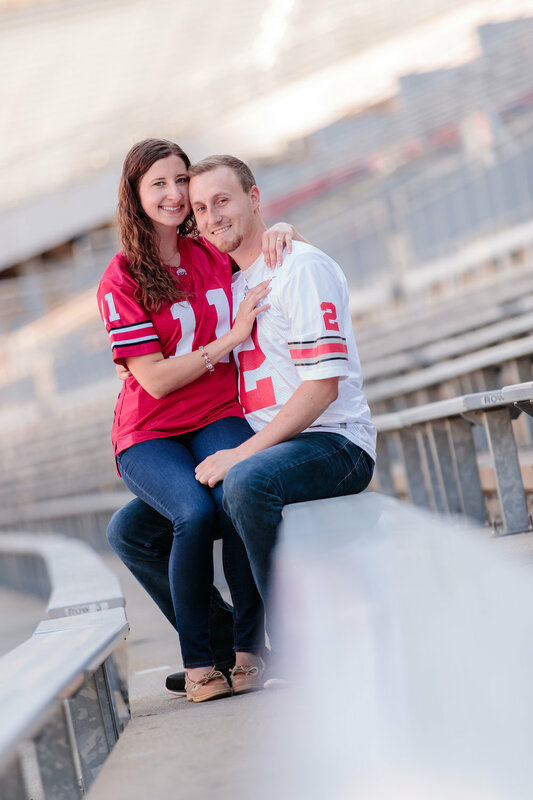 We are so excited for their upcoming wedding at Athenaeum!